The L298N Dual H-Bridge Motor Driver is a low cost motor driver board that can be used to drive two robot motors. It uses the popular L298N Dual H-Bridge Motor Driver chip and is powerful enough to drive motors from 5-35 Volts at up to 2 Amps per channel. The flexible digital input controls allow each motor to be fully independent with complete control over speed direction and braking action. 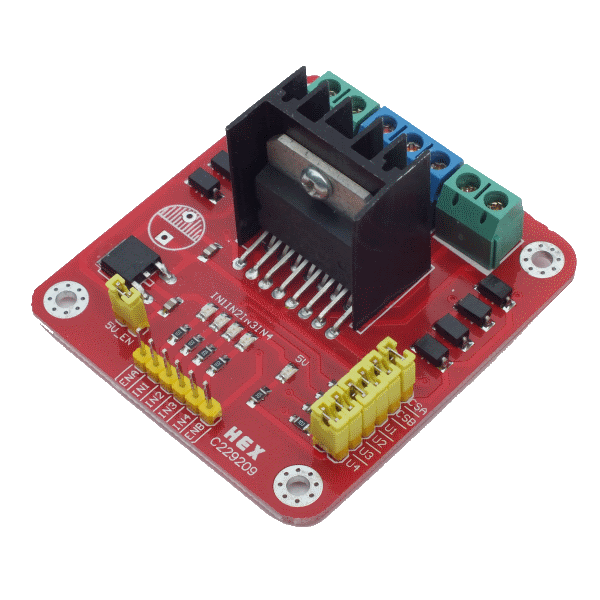 This board provides a handy 5V regulator that can be used to power other circuitry such as your robots microcontroller. Its modular design is easily adapted to a wide variety of robot controllers including the popular Arduino family. See the Articles tab for more information.